As a regular part of your daily hygiene you may be using a mouthrinse — or “mouthwash” — mainly to keep your mouth feeling fresh and clean. Some mouthrinses, though, do more than give you fresher breath. While there are countless mouthrinses available, we can place all of them into two broad categories: cosmetic and therapeutic. The first refresh your mouth and breath, usually with a mentholated or minty taste and smell that masks unpleasant odors. How well they work is mainly subjective: if you feel better after using them, they’ve done their job. Therapeutic rinses have a different role, intended to improve oral health in some way. We can divide these into anti-cariogenic (decay prevention) or anti-bacterial rinses. You can find fluoride-based anti-cariogenic rinses over-the-counter in retail or drug stores, usually containing about .05% sodium fluoride per volume. Numerous studies have shown these rinses highly effective in preventing tooth decay when used with daily brushing and flossing. 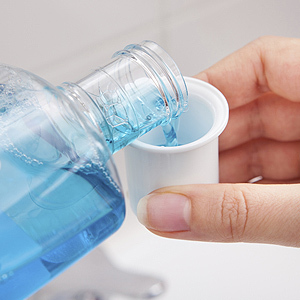 Likewise, over-the-counter antibacterial rinses have proven somewhat effective in reducing bacteria that leads to dental disease. Formulated usually with triclosan, sanguinaria extract, zinc or essential oils, they can also help reduce the incidence of gingivitis (inflammation of the gums), but only if used in conjunction with brushing and flossing. Perhaps, though, the most widely studied and substantiated therapeutic mouthrinse is chlorhexidine, a prescription-only rinse. Chlorhexidine inhibits the formation of bacterial plaque on tooth surfaces, the main trigger for both tooth decay and periodontal (gum) disease. It’s often used as a post-surgery rinse when brushing and flossing may not be possible, but dentists will often prescribe it for patients who have a high propensity for dental disease. Using a mouthrinse depends on your current oral health and personal preferences. Therapeutically, most people gain some added tooth strength protection from using a fluoride rinse in their daily hygiene. If fresh breath and the way your mouth feels are important to you, you should consider such a rinse that also has a pleasant taste and effect for you. We can further discuss with you whether a different type of rinse, or a prescription-strength formula, might be best for your particular needs. For over half a century, dentists have promoted a proven strategy for sound dental health. Not only is this strategy effective, it’s simple too: brush and floss every day, and visit your dentist at least twice a year or as soon as you see a problem. Unfortunately, this strategy isn’t resonating well with people between the ages of 18 and 34, known more commonly as the “millennials.” A recent survey of 2,000 members of this age bracket found a startling number: over one-third didn’t brush their teeth as often as recommended, some going as long as two days between brushings. About the same number also reported fear of dental visits. Given all that, the next statistic isn’t surprising: tooth decay affects one in three people in the millennial age group. This isn’t to pick on millennials, but to point out that good oral hygiene naturally leads to good oral health, regardless of age, gender or ethnicity. Here’s more about the dental care basics for better health. Brush twice, floss once daily. The American Dental Association (ADA) recommends a thorough brushing with toothpaste containing fluoride twice a day. You also shouldn’t neglect a once a day flossing between teeth to remove plaque from areas brushing can’t effectively reach. Keeping plaque accumulation to a minimum is the best way to prevent diseases like tooth decay or periodontal (gum) disease. Visit your dentist at least twice a year. Dental visits every six months (or more if your dentist recommends it) accomplish two things: a professional dental cleaning removes any buildup of plaque and tartar (calcified plaque) missed by daily hygiene. 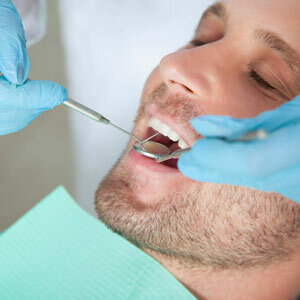 It also allows your dentist to inspect your teeth and gums for any signs of disease that may require treatment. 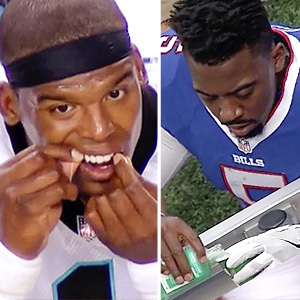 See your Dentist ASAP if you notice problems. You should also see your dentist sooner if you notice anything abnormal like unusual spotting on the teeth, tooth pain or sensitivity, or swollen, reddened or bleeding gums. These are all signs of disease, and the sooner it’s treated the less chance your teeth and gums will suffer serious harm. Like other age groups, millennials know the importance of a healthy smile, not only for social and career interaction, but also for their own personal well-being. Sticking to a regular dental care program is the primary way to keep that healthy smile. Semi-annual office cleanings are important for keeping teeth healthy and disease-free. If you’ve replaced some of your teeth with dental implants, though, you may be thinking they don’t need as much attention from your hygienist. It’s quite the opposite — cleaning around implants is important, and actually requires additional attention. The reason for this relates to both how dental implants attach to the jaw and their constructive materials. Natural teeth are held in place by the periodontal ligament with tiny fibers that attach to the teeth on one side of it and to the jawbone on the other. The ligaments and the gingival (gum) fibers (which are also attached to the tooth) provide some disease resistance to the teeth through its rich blood vessel and collagen network. Dental implants, on the other hand, anchor directly into the jawbone. The titanium integrates with the bone, which naturally attracts to the metal and grows around it, which provides the implant’s eventual attachment strength. The implant doesn’t attach to the gum tissue and won’t develop the same relationship with the periodontal ligament as natural teeth. Bacterial plaque, the primary cause for tooth decay and periodontal (gum) disease, can collect on an implant crown just as readily as on a natural tooth. Although the materials that make up an implant can’t be affected by a plaque-induced infection, the gum tissues and supporting bone around it can. In fact, because implants lack the disease resistance of the gingival fibers and the ligament attachment, an infection can turn rapidly into a condition known as peri-implantitis that could cause bone and tissue loss and lead to the loss of the implant. Your hygienist understands the importance of removing plaque and calculus (hardened plaque deposits) from around your dental implant. This often calls for different instruments made of plastics or resins that won’t scratch the implant’s highly polished surface. Scratches provide a haven for bacteria to collect and make it more difficult to dislodge them. Likewise, if the hygienist uses ultrasonic equipment that loosens plaque through vibration, the hygienist will often use nylon or plastic tips to minimize damage to the implant. And don’t forget your own personal hygiene habits — they’re just as important with dental implants as with natural teeth. Keeping plaque under control, both at home and with your dentist, is crucial to longevity for your dental implants.